I just read about yet another child who died from ingesting peanut butter, this time an 11year old in Utah. It’s tragic, and my heart goes out to his parents right now. If you’re like me, perhaps you’re thinking it can’t happen to you because nut allergies don’t run in your family. But food allergies have to start somewhere. We have no history of food allergies in our family, yet our son is allergic to peanuts and cashews. I also do my best to give my kids a healthy start in life. One of the best ways to prevent food allergies is by breastfeeding, and my babies are all exclusively breastfed until 6 months, when solids are introduced, and I continue nursing after their first birthday. Sometimes, you just don’t see it coming. 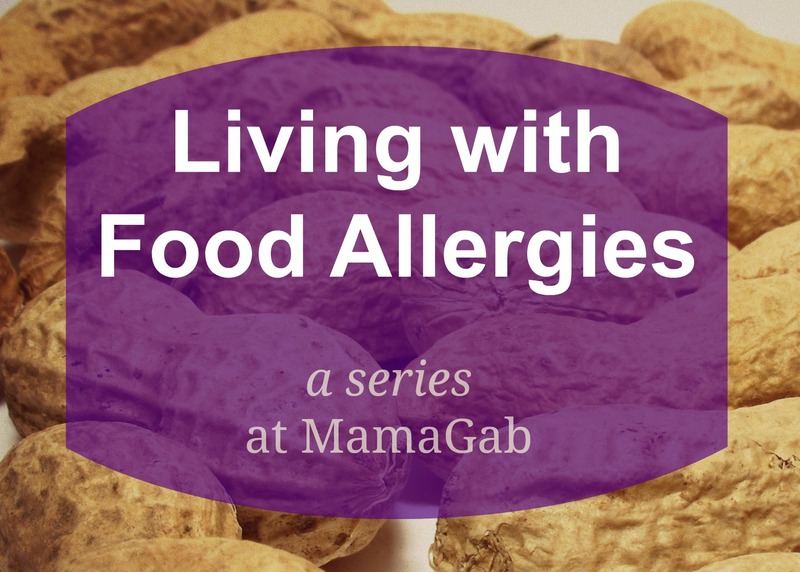 Fortunately, while I never expected to deal with food allergies, God prepared me ahead of time by giving me a few friends whose children have peanut allergies, so when my second baby came along, I was far more cautious than I was with my first. Specifically, a friend shared her story with me about her son nearly dying at 16 months when he grabbed a bite of peanut butter off another child’s high chair tray at Mother’s Day Out. Again, please know that anaphylaxis is real. My second baby chose the worst possible time to start crawling. Both of my kids were pretty sick, and while my two year old had her first ear infection, Andrew, my 9 month old, had bronchiolitis and atalectisis (collapsed lung), and was on breathing treatments. Our house was crazy messy from all the chaos, yet that’s when he started crawling. 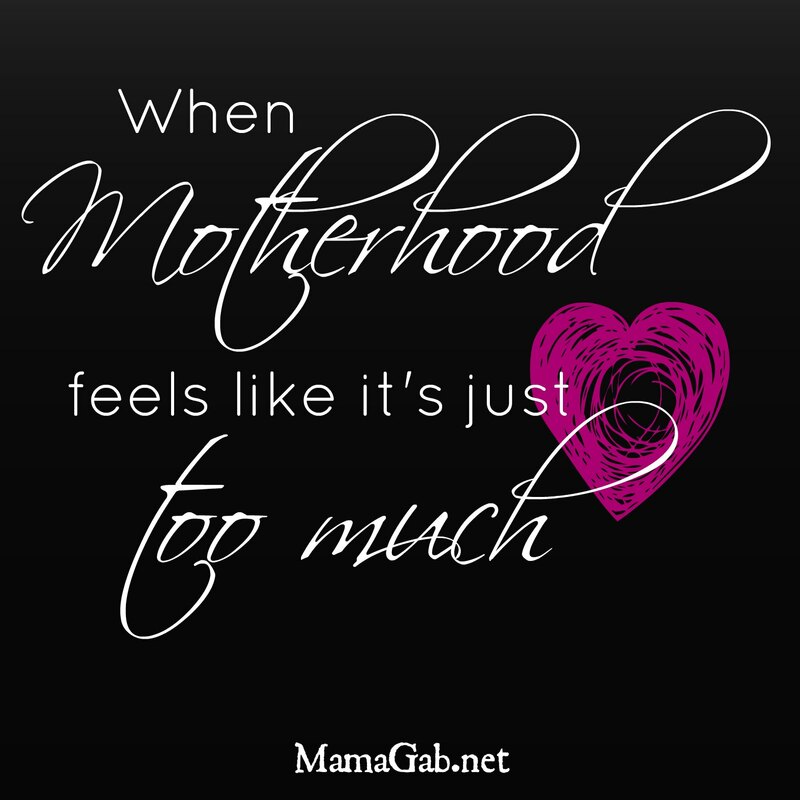 I was in the process of trying to get my floors in the spotless condition that all mommies want when their babies start crawling, but I wasn’t quick enough. One morning, about 2 or 3 days after he started crawling, I picked up Andrew to change his diaper. He had been crawling around the nursery floor, which I thought was completely baby proofed, of course. But I noticed an orange stain on his chin and on the front of his footie pajamas. At the same time, I spotted hives all around his mouth. I recognized that orange as the same color as a Reese’s Pieces peanut butter candy and I instantly felt panic and fear welling up inside. Hives. Peanut butter. This is not a good combination. I quickly changed his diaper and loaded up the kids into my car. We were all in pajamas, but I really didn’t care. There’s a hospital about 3 minutes away from my house, so I drove to the hospital and decided to hang out in the parking lot, just in case. If my baby went into anaphylaxis, I wanted to be at a hospital so that he could be treated quickly. It killed me to not be able to see my infant in his rear facing car seat. I had no idea how he was doing, and his occasional coughs only frightened me more. But when I parked my car, I sat in the back seat next to him and saw my happy baby. Eventually I calmed down and started driving home. But then I heard coughing again, so we drove back to the hospital. I pulled him out of the car seat, faced him away from me, and he began vomiting the tiny piece of candy to get it out of his system. Our pediatrician pointed out that there are many reasons why infants vomit, and this could have been a reaction to the chocolate or dairy in the Reese’s just as well as the peanut butter. In fact, Andrew was already showing signs of a dairy allergy. It was hard to rule out one item and say he was allergic to it. Still, I became cautious with peanuts. This is Andrew at about the age that he first ingested peanut butter. In the above picture, his hives are from eating dairy (yogurt). Andrew turned 1 the following February, and at his annual check-up, our pediatrician gave us the green light to introduce the few things that he had not yet eaten: milk, shell fish, egg whites, and nuts. Two weeks later, I had another appointment as a follow-up on Andrew’s ear infection, so I decided to follow the doctor’s usual advice for introducing new foods. He always says to introduce a new food, especially a potential allergen, early in the week and early in the day, so that you can watch your child and bring them in to see him if a reaction occurs. But I added one caveat. Because I was so nervous about the peanut butter, I introduced it to him in the parking lot of the pediatrician’s office. Honestly, I’m so grateful that God gave me the wisdom to introduce it there. The morning of our appointment, I arrived at the pediatrician’s office a little early. In the parking lot, I loaded the kids up in our double stroller and gave a small spoonful of peanut butter to Andrew. He didn’t want it, but I gave him a small amount anyway. As we made our way across the parking lot and through the lobby of the large clinic, I noticed hives developing on his face. At the front desk, Andrew started crying, so I put him on my hip as I checked in with the receptionist. Meanwhile, he started vomiting on me. The receptionist was oblivious and didn’t care when I told her he was vomiting from an allergic reaction to peanut butter. I asked for a small trash can to catch the vomit, but she said no, and pointed to the huge trash cans with covers, which made them completely impossible for a baby to vomit into. So I just let him vomit on the floor, since she left me with no other option. In the waiting room, I gave Andrew a dose of Benadryl that I’d brought with me “just in case” something happened. Fortunately, we were called back quickly and when I told the pediatrician’s nurse what happened, she was concerned. Our doctor examined Andrew very closely, listening with his stethoscope for any indication of an anaphylactic response. But Andrew was fine, so we left his office with a prescription for an EpiPen auto injector and instructions to see a pediatric allergist as soon as possible. Our doctor said that peanuts are in so many different foods that it was important that we become properly educated on how to handle this food allergy. On the way home, my baby started vomiting again. I couldn’t see him, since he was still rear-facing in his car seat. I pulled over, yanked him out of the car seat so that he could finish vomiting, and kept watching him for any signs of breathing difficulties. At that point, I was done. Anxiety and fear welled up and I could not function as a responsible adult anymore. I’m usually a pretty calm person in difficult situations, but the possibility of my child having anaphylaxis in the back seat of my car while I drove, completely unable to see him or respond to him, sent me over the edge. I called my husband from work and asked him to pick me up at the Walmart parking lot where I’d pulled over. I was not fit to drive my kids home. That was only the beginning of our journey with peanut allergies. Well-meaning friends and family members advised waiting to see what the allergist said instead of “jumping to conclusions” that our toddler was allergic to peanuts. But our pediatrician had already cleared up any doubt on that issue for me, and we began learning how to use his EpiPen, getting educated on avoiding allergens from friends, and doing a thorough clean out of our pantry. A month later, when we were finally able to see the pediatric allergist, she confirmed his peanut allergy with a blood test, though we all knew there was no doubt that this was an allergic reaction. The test showed a mild dairy allergy and a cashew allergy as well. Eggs showed up as faintly positive, but since he had no reactions while eating eggs, we knew this was a false positive. Our allergist taught me how to avoid peanuts, which our friends had already explained, but it was good to hear it from a doctor. We follow her advice precisely, so when people think we’re being overly cautious, we just let them know we’re only following doctor’s orders. I’ll share “the rules” with you in a later post, but there’s one thing that she said that we have to remember every single day. Andrew only had hives and vomiting, but peanut allergies can become anaphylactic at any point in time. It could be at his 3rd exposure to peanuts or it could be at his 13th or 30th. We have no way of knowing. Even the numbers on his allergy test cannot tell us that. Knowing that a simple bite of a cookie could send my child into anaphylaxis–possibly death, if medication is not administered promptly–is a terrifying thought. I don’t dwell on it. I can’t. But we make sure that we are properly educated in this area, that we have created a safe place for Andrew at home, and that we minimize risk when we leave the house. We will not, cannot, live in a bubble, and it’s not my desire to do so. But in the same way that I would never let my toddler run out into the street, I would also never let my toddler eat a cookie without knowing its ingredients. Welcome to the life of a food allergy family. How do you usually introduce a new food to your baby? I must admit, I wasn’t this cautious with my first child, but I’m so glad I was with my second. Are you familiar with the idea of anaphylaxis? Would you know how to respond if a child went into anaphylactic shock? Hi! Thanks for visiting my blog and commenting on my most recent post about breast feeding. Thanks for sharing your story. My daughter is almost 18 months old and so far (knock on wood) no allergies, but I can’t imagine how scary it would be to have a child with a peanut allergy. Anaphalactic shock is a scary thing. A pet is no comparison to a child, but many years ago my dog (then 1 yr old puppy) had a an anaphalactic reaction. It happened so quick, he couldn’t breathe, eyes rolled into the back of his head, gums and tongue were white. Luckily a vet office was across the street from my apartment complex and they saved him, but they told me if I had drove to his actual vet 15 minutes away he would have died. I couldn’t believe how quickly it happens. And knowing how scary that was with my dog I couldn’t even imagine if that were my child. Now following you via GFC and NetworkedBlogs.